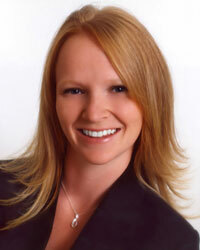 Our Director of Operations, Ashley Hughes joined the Karen Brown Team in 2006 as the Marketing Director. Ashley is the “Wizard behind the curtain” and makes our world go round. Her main duties include preserving Karen’s sanity, managing transactions and assisting clients in every aspect of a sale. She is a talented graphic artist and is also responsible for all marketing matters of our business. Ashley is a stickler to details and is genuinely supportive, always looking out for the best interest of our clients and our Team. She also is a Licensed Realtor and has vast experience in dealing with the many facets of buying and selling real estate. Married with two adorable children, Ashley has been a resident of Northern Virginia for over 30 years. Occasionally, she receives a day off, at which time she enjoys spending time with her family, exploring the outdoors and watching sporting events.